The resignation comes as Bartrum has accepted a job with the Philadelphia Eagles, where he played the majority of his NFL career. Bartrum will also be stepping down as coach of the Meigs High School football team. More on Bartrum’s new role and his time as Commissioner and Meigs High School football coach will appear in an upcoming edition of The Daily Sentinel. https://www.mydailysentinel.com/wp-content/uploads/sites/14/2019/02/web1_12.7-EMS_ne2018127941053-1-_ne2019271258563.jpgCommissioner Mike Bartrum, left, is pictured last fall accepting a grant along with Meigs EMS Director Robbie Jacks. 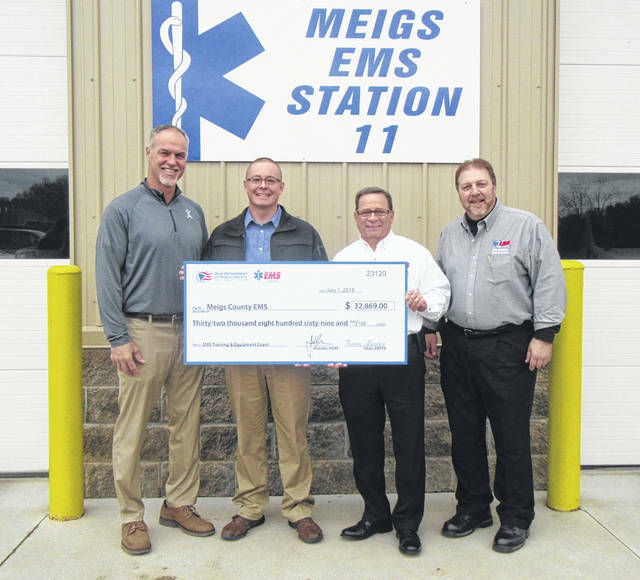 Also pictured are Ohio EMS Director Mel House and Ohio EMS Deputy Director Rob Wagoner.